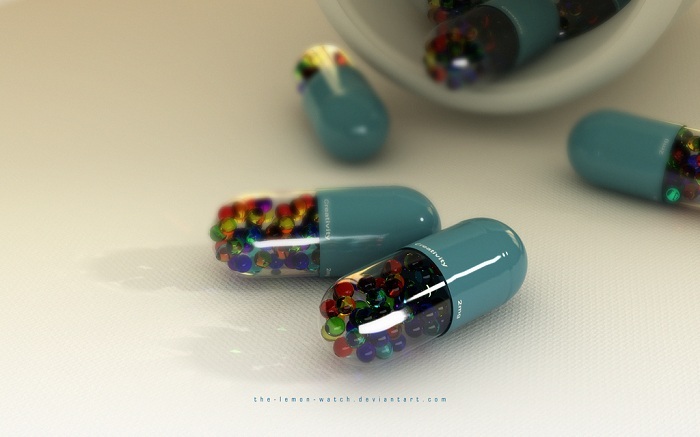 3D Capsule Wallpaper is an excellent quality digitally rendered 3D wallpaper of Capsules with fantastic depth of field. 3D Capsule Wallpaper is created by THE-LEMON-WATCH using 3DS Max and Mental Ray. Confused? These are actually digitally created. Perfect example of deviantArt’s Slogan “where ART meets application”. 1920Ã—1200 pixels ; resize if needed. It is a PNG download, the file is 3.5 MB in size. This Article Has Been Shared 7891 Times! Virtual Billiard Balls is an excellent quality digitally rendered 3D wallpaper of Billiard Ball with fantastic glossy effects and reflections. 3D Rendered Cherry Wallpaper is an excellent quality digitally rendered 3D wallpaper of a red Cherries with drops on water over it. As a bonus, a fantastic animation video is here for your eyes. Tiny Wings Wallpaper is an excellent quality digitally rendered 3D wallpaper of an airplane and coin with fantastic depth of field. 3D Gear Wallpaper is an excellent quality digitally rendered 3D wallpaper of Metal Gear on nice background. Cite this article as: Abhishek Ghosh, "3D Capsule Wallpaper-Another Digitally Rendered Realistic Art," in The Customize Windows, September 1, 2011, April 24, 2019, https://thecustomizewindows.com/2011/09/3d-capsule-wallpaper-another-digitally-rendered-realistic-art/.